Abstract:This paper and the associated talk are largely an opinion piece on current research on visual quality assessment: where it is at, and where it is going. The paper and talk follow three themes. First I‟ll discuss full-reference (FR) visual quality assessment (QA), and will opine that future gains on this largely-solved problem are likely to be found in modeling human behavior, which is a hard problem quite different from perceptual modeling. Then I will discuss the no-reference (NR) or blind QA problem, where satisfying results are now being obtained on still images. However, the blind video QA problem remains far from solution owing to a lack of regular statistical video models, among other things. Lastly, I will discuss the exceedingly difficult stereo (3D) visual QA problem. It is my hope that the talk and this paper will stimulate promising avenues of research. Biography: Al Bovik is the Curry/Cullen Trust Endowed Chair Professor at The University of Texas at Austin where he Directs the Laboratory for Image and Video Engineering (LIVE). He is generally interested in digital video and computational perception. He has published over 500 technical articles in these areas and holds two U.S. patents. His books include The Handbook of Image and Video Processing, (Academic Press, 2005), Modern Image Quality Assessment (Morgan & Claypool, 2006), and the two volume The Essential Guides to Image and Video Processing (Academic Press, 2009). Al was named Imaging Scientist of the Year for 2011 by the SPIE and IS&T. He has also received a number of major awards from the IEEE Signal Processing Society, including: the Best Paper Award (2009); the Education Award (2007); the Technical Achievement Award (2005), the Distinguished Lecturer Award (2000); and the Meritorious Service Award (1998). He is also a recipient of the Hocott Award for Distinguished Engineering Research from the Cockrell School of Engineering at The University of Texas at Austin (2008), the Distinguished Alumni Award from the University of Illinois at Champaign-Urbana (2008), and the IEEE Third Millennium Medal (2000). He is a Fellow of the IEEE, a Fellow of the Optical Society of America (OSA), a Fellow of the Society of Photo-Optical and Instrumentation Engineers (SPIE), and a Fellow of the American Institute for Medical and Biological Engineering (AIMBE). He co-founded and served as the longest-running Editor-in-Chief of the IEEE Transactions on Image Processing (1996-2002) and created and served as the first General Chairman of the IEEE International Conference on Image Processing, held in Austin, Texas, in November, 1994. Abstract:Subjective information is very difficult to elicit, to represent and to use because of its complexity. Among causes of subjectivity, perception is the most common and L.A. Zadeh has proposed a computational theory of perceptions, fuzzy set theory providing interesting tools to manage them. Imprecision of language and perceptions are closely related and U. Eco considers that concepts have the purpose of unifying various sensorial impressions. For Rissland, concepts are necessarily messy, with a core of typical elements and grey areas of interpretation. She considers that similarities are key notions to manage concepts. We present a general framework for similarities providing solutions to contruct prototypes in a fuzzy setting, in agreement with classic works in psychology. We give some examples of their use for the management of perceptive and subjective information. Biography: Bernadette Bouchon-Meunier is a director of research at the National Centre for Scientific Research, head of the department of Databases and Machine Learning in the Computer Science Laboratory of the University Paris 6 (LIP6). Graduate from the Ecole Normale Superieure at Cachan, she received the degrees of B.S. in Mathematics and Computer Science, Ph.D. in Applied Mathematics and D. Sc. 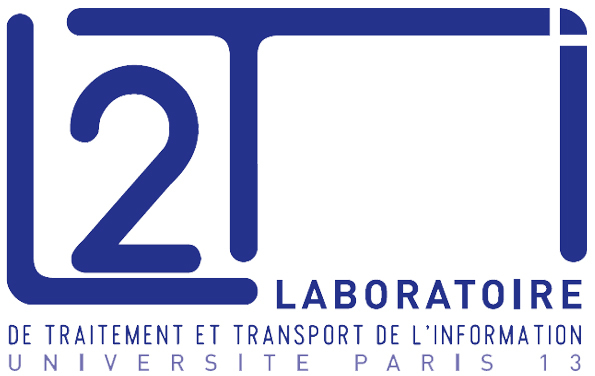 in Computer Science from the University of Paris. Editor-in-Chief of the International Journal of Uncertainty, Fuzziness and Knowledge-based Systems (World Scientific), she is a member of the editorial board of several journal, including the International Journal of Approximate Reasoning and Fuzzy Sets and Systems. She is the (co)-editor of 22 books and the (co)-author of five books on Fuzzy Logic and Uncertainty Management in Artificial Intelligence. Co-founder and co-executive director of the International Conference on Information Processing and Management of Uncertainty in Knowledge-based Systems (IPMU), she served as the FUZZ-IEEE 2010 Program Chair and she is currently the General Chair of IEEE SSCI 2011 and the FUZZ-IEEE 2012 Conference Chair. She has been elected to the Adcom of the IEEE Computational Intelligence Society (2004-2009, 2011-2013). She has chaired the French Chapter of the CIS since 2008. She is an IEEE fellow and an International Fuzzy Systems Association fellow. Her present research interests include approximate and similarity-based reasoning, as well as the applications of fuzzy logic and machine learning techniques to decision-making, data mining, risk forecasting, information retrieval and user modelling. Abstract: Computational color constancy aims to estimate the actual color in an acquired scene disregarding its illuminant. Many illuminant estimation solutions have been proposed in the last few years, although it is known that the problem addressed is actually ill-posed as its solution lacks uniqueness and stability. To cope with this problem, different solutions usually exploit some assumptions about the statistical properties of the expected illuminants and/or of the object reflectances in the scene. In this lecture we will illustrate the main principles behind the major approaches and highlight research areas that are important in the context of improving the performance of the algorithms.